Grief is a universal experience and is something we must encounter numerous times in our life. Saying goodbye to someone you love is never easy. Numerous moves, jobs, and relationships (although he only had one daddy). He was waiting at home when all three of my babies came home from the hospital. He was beside me when I met the love of my life and was with us when his daddy proposed to me. He was at our side when Bella passed. He was Bella’s dog too, and she loved him so much! Saying goodbye to him is like saying goodbye to another piece of her, which adds to the pain. Our pets become such an important part of our lives. We love them unconditionally and the bond is everlasting. It’s impossible to understand the importance a pet has in a family unit unless you’ve been blessed with this type of love. The separation is comparable to that of a family member. Our pets are our babies too and I have always considered Buddy my first born son. I can’t say this compares to losing Bella. But it hurts. A lot. It is painful to watch a loved one deteriorate. You feel helpless but do what you can to keep them comfortable. 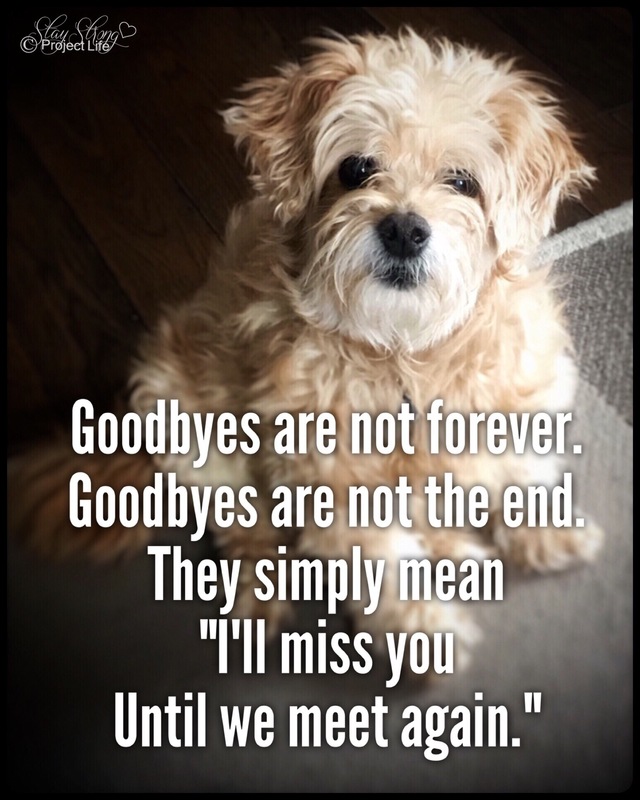 The last month of Buddy’s life was our time to spoil him rotten, even more so than before. Knowing what was approaching allowed me to appreciate him more than I ever had. I take comfort in knowing we did all we could for him and that he knew nothing but love. I also take comfort in knowing he didn’t suffer for long. We really did the best we could for our little Buddy. The look on his face when we said goodbye attested to that. He passed showing us love and gratitude. This was such a gift! Grief has returned as we adjust to life once more. But it is comforting to know that Bella has her puppy back.